After outing the HTC Butterfly/DNA last month, HTC is once again looking to make waves with a ultra high-res screen, except with a more compact size. The latest bit of online gossip has it that the company's upcoming M7 flagship is set to feature a 4.7-inch 1080p display, which amounts to an unprecedented 468 ppi. The display panel will be of the SoLux variety, which is claimed to feature superior outdoor visibility, viewing angles, and color reproduction. Inside, you'll find a quad-core 1.7 GHz Snapdragon processor, 2GB of RAM, and 32 GB of internal storage. The camera sensor will have 13MP resolution, while the lens will have a bright f/2.0 aperture capable of super slow-mo and video HDR in 1080p. The 2MP front-facer will also be capable of 1080p video. In terms of connectivity, the M7 will support LTE up to 42Mbps, as well as the new 802.11 ac wireless standard. Beats audio enhancements are also included, and it will all be powered by a 2300mAh battery. On the software side of things, the M7 will offer Android Jelly Bean out of box, coupled with HTC's updated Sense 5 UX. As far as pricing and availability go, the M7 is supposedly set for a MWC unveiling, scheduled for late February of next year. The M7 is said to eventually become available on at least two major US carriers: Verizon and Sprint. Like CloudMobile with 1460 mah battery and 1.5 ghz dual core krait and 720p ips screen. 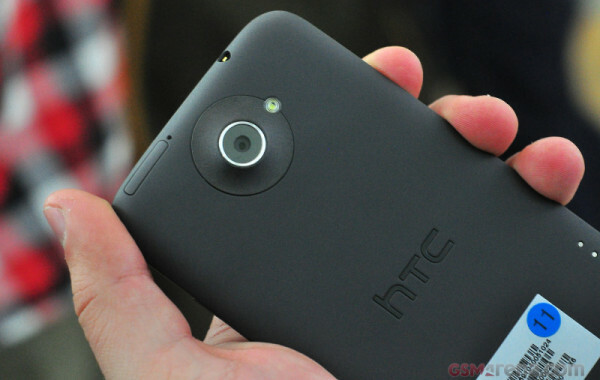 Android is a battery hog, and yet HTC keeps making phones after phones with low battery life. Fail!